Bristol rock duo Brockley Forest is searching for a front man or woman to join the band. 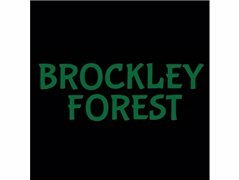 Brockley Forest have most recently released their Castaway EP - recorded and mixed by Ian Davenport (Band of Skulls, Gas Coombes) . The Castaway EP is the band's first new release since The Die Has Been Cast EP back in 2015. Since their previous release, the band have supported the likes of Idles, Fidlar and Honeyblood for sold out performances at Bristol’s Louisiana venue and the iconic Bristol Fleece. Other notable performances from BBC 6 Music Festival and Dot to Dot have helped establish Brockley Forest as an exciting up and coming duo from Bristol. Friends since the age of 11, the duo cemented their kinship with a cross-country trip through America, spanning 10,000 miles and a temporary habitat in the Mojave desert. Upon returning to the UK, Brockley Forest was born. The band are looking for a committed singer that can attend weekly practices in bedminster and is happy to perform live in and around Bristol.